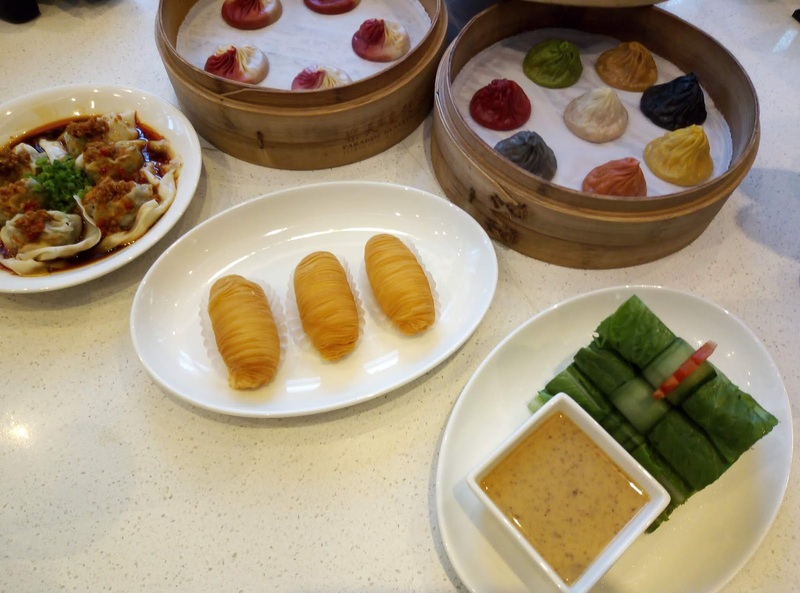 The legendary 8 colorful flavors of Paradise Dynasty's Xiao Long Bao has been getting rave reviews from Chinese food lovers ever since the restaurant opened its flagship store at the S Maison Mall in Conrad Hotel. Now, I got to try the renowned Singaporean restaurant's best seller and more at the newly-opened branch at SM Aura along with the other foodies. 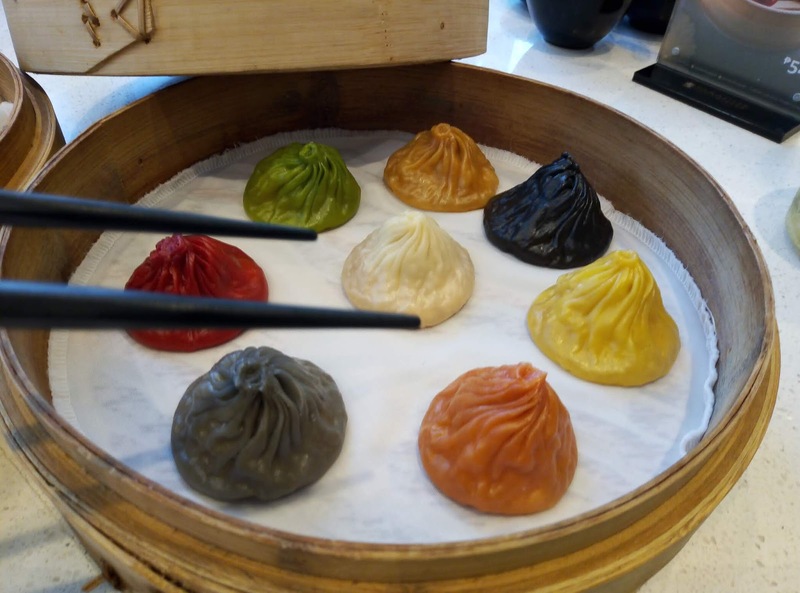 The 8-flavor most famous Chinese steamed soup dumplings basket serving (P 388) is meant for one person so that he can savor all 8 variants--- Original (white), Ginseng (green), Garlic (brown), Black Truffle (black), Cheese (yellow), Crab Roe (Orange), Foie Gras (Gray), and Szechuan (red)--with increasing flavour intensity from the mildest to the strongest. 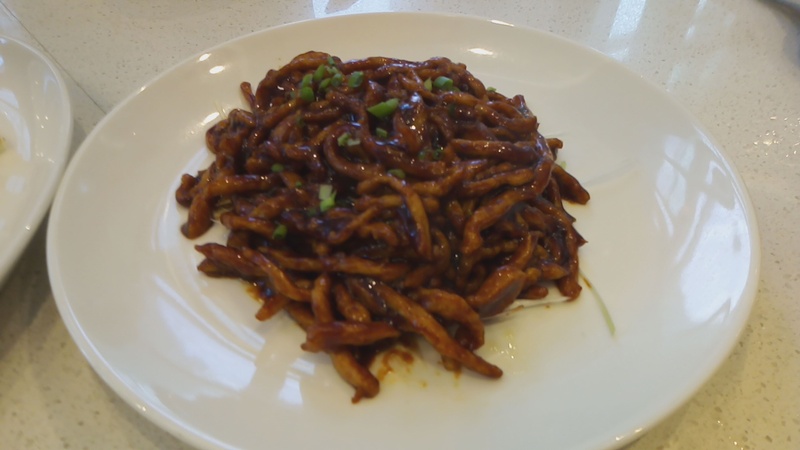 is delicately hand-crafted with exactly 18 pinches to form the spiral knot. Paradise Dynasty's Xiao Long Bao are served by 5's and by 8's. And when you decide on which flavor suits you palate well, order another basket to fully satisfy your dimsum cravings. 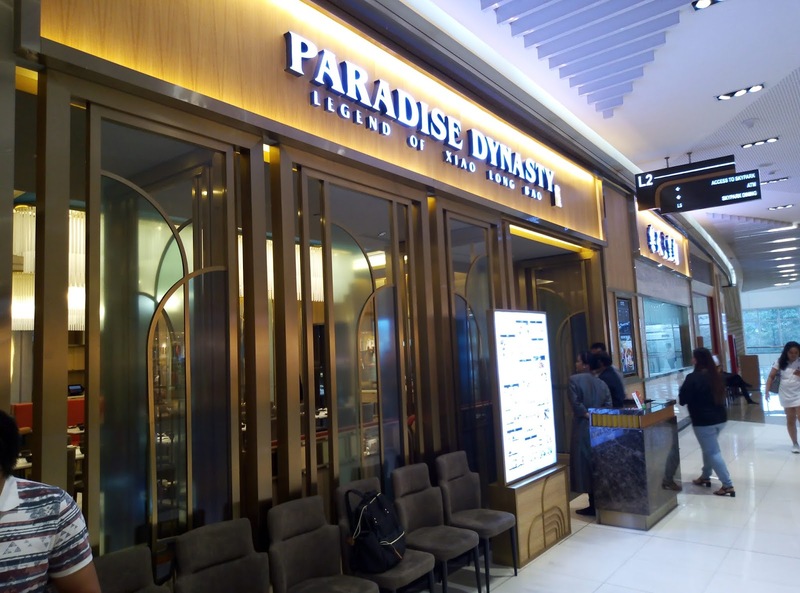 The Chili Crab Xiao Long Bao (P 388 / 5-pc serving) is available for a limited time only at Paradise Dynasty SM Aura Premier Branch. 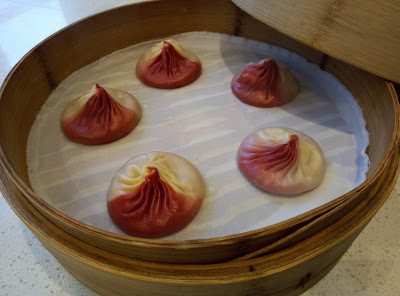 Pork Dumpling with Hot Chili Vinaigrette (P168) is something you shouldn't miss! 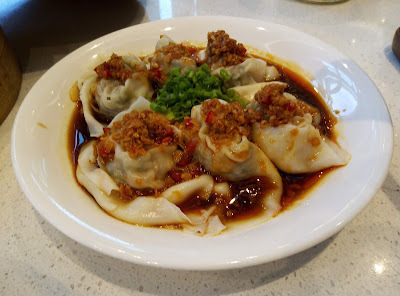 These tender pork wontons come in an aromatic sauce coating spiced up with chili. 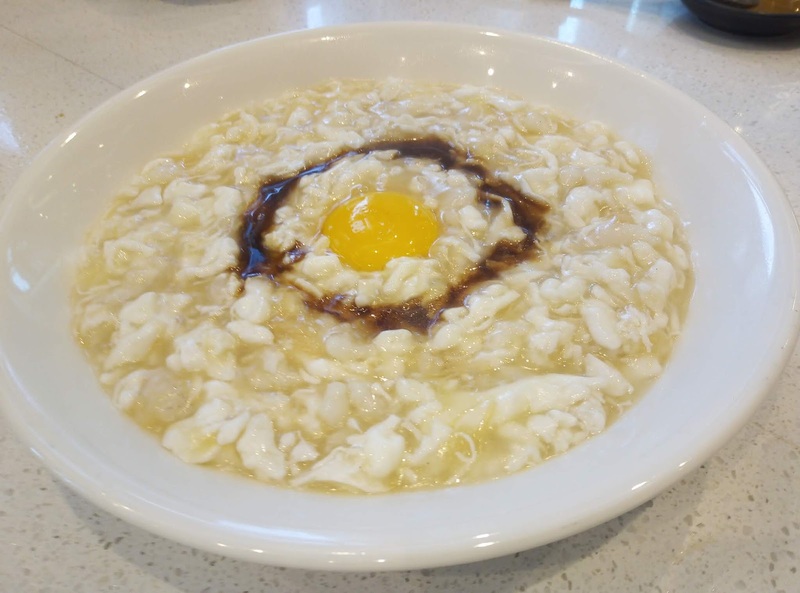 Scrambled Egg White with Fish and Conpoy (P 328) is like a congee dish made with egg whites, fish and flavored with conpoy. (Japanese dried scallops flavoring), which gives it a savory boost. 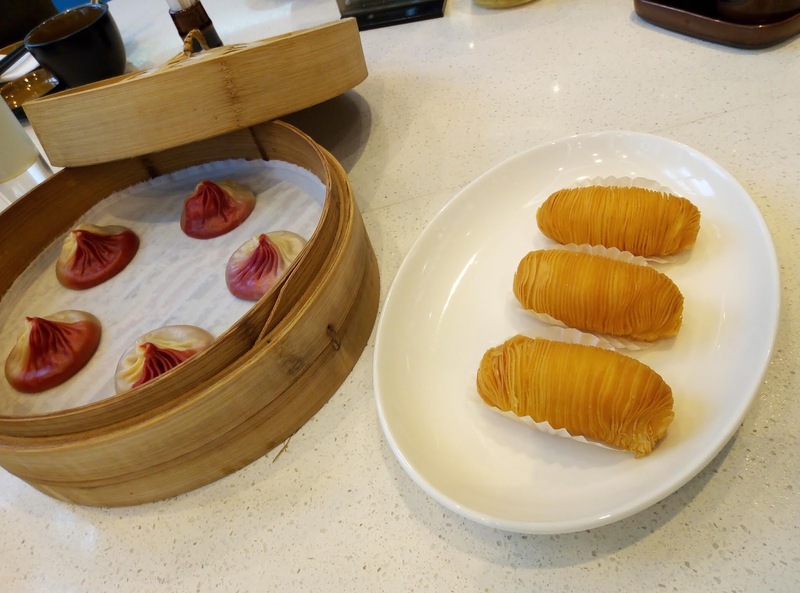 Radish Puff Pastry (P 138/3-pc serving) is a great way to enjoy the vegetable. 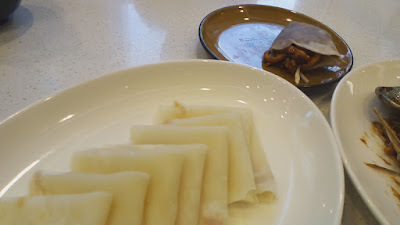 The shredded radish filling comes ib a flaky, puff pastry that is non-oily. 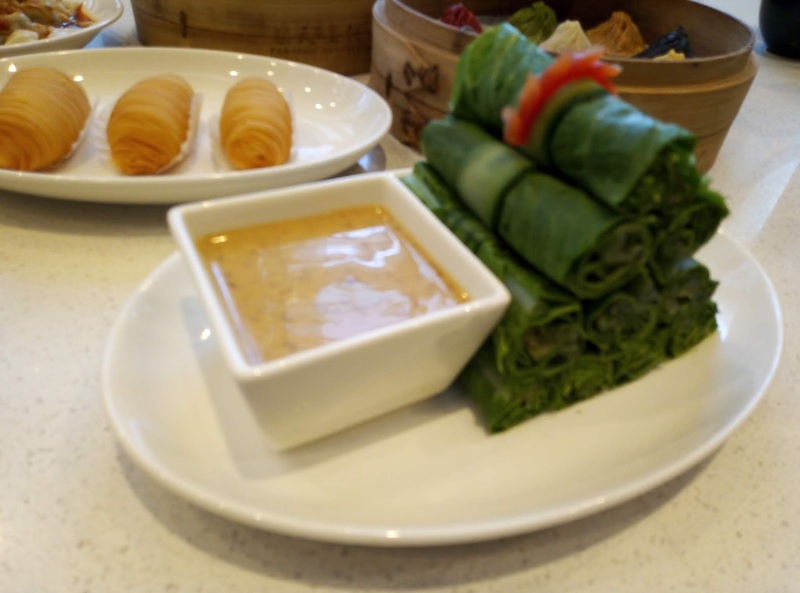 Lettuce Roll with Homemade Sesame Sauce (P180) is a whole, new way to enjoy salad greens. It was my first time to eat cold, crisp rolled lettuce with a delectable sesame-infused mayo dip! I love the natural sweetness of the stir-fried Pork with French Beans (P 238). Egg rice maybe simple, but packed with flavor! 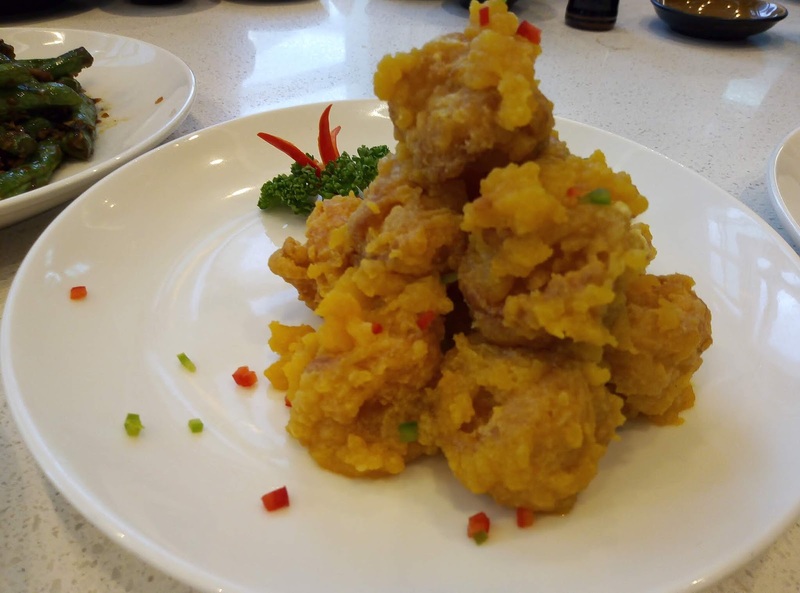 The Crispy Fried Crystal Prawns tossed in Salted Egg Yolk (P 588) is a must try. This salty, juicy and crispy perfection is a sure crowd pleaser. 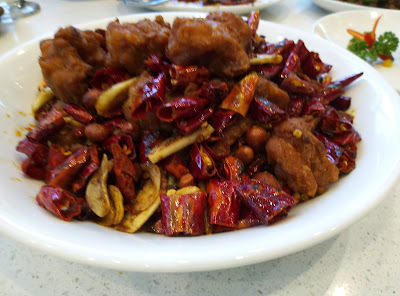 The bold flavors of Spicy Szechuan Crispy Chicken (P 298) combines stir-fried chilies, sichuan peppercorns garlic and ginger. 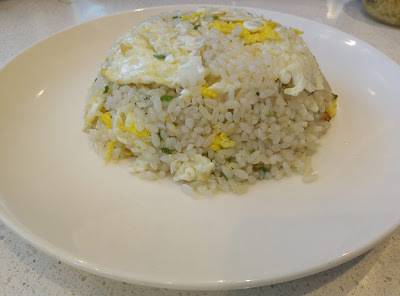 Crunchy chicken bits lay hidden.under this fragrant, spicy infusion. The chicken's pungent and intense spicy notes result from liberal use of garlic, chili and Sichuan peppers in this dish. 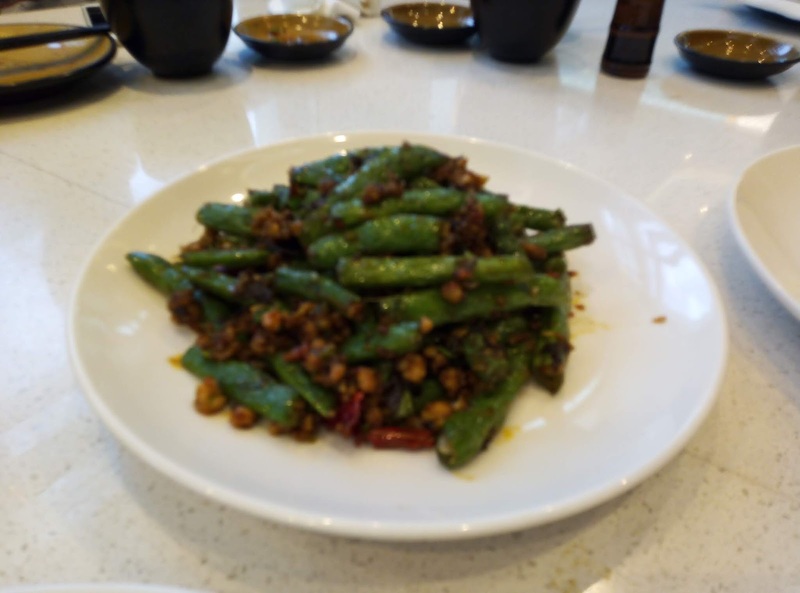 Those individuals inclined towards spicy foods will definitely love how each bite warms the palate with the spiciness. 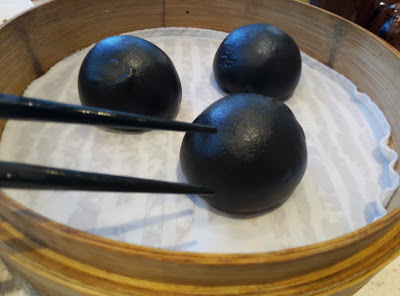 We had Charcoal Custard Lava Bun (PHP188, 3-pcs) to end our meal. Visit them sometime for an excellent dining experience. Their well-curated menu has something good to offer for every member of your family.